Whitechapel have released a new track titled “The Void” which will be included on the bands upcoming album “Mark Of The Blade”, currently set for release this June. 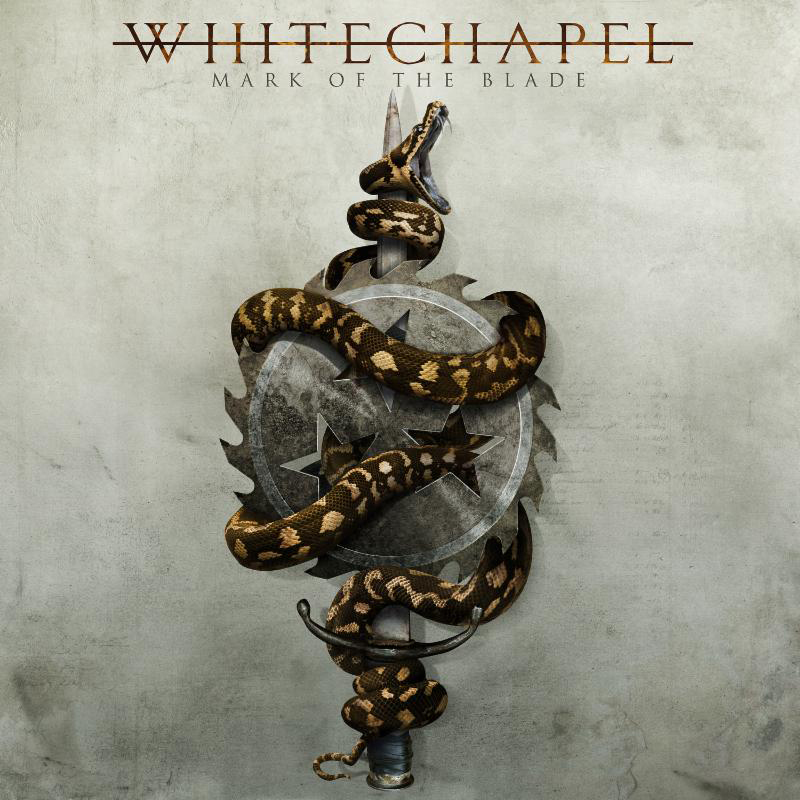 Whitechapel have announced their new album “Mark Of The Blade” which will be released on June 24 through Metal Blade Records. Recording for the album took place with producer Mark Lewis (Cannibal Corpse, DevilDriver). Pre-orders are up at www.metalblade.com. To coincide with the album announcement the band have released a lyric video for the title track. Whitechapel have finished the recording process for their sixth full-length album with producer Mark Lewis (Cannibal Corpse, The Black Dahlia Murder), with a release later in the year being set. Frontman Phil Bozeman confirmed the news. Just finished tracking the new record ? Whitechapel have released a new short 12 minute documentary titled “Untold” which was filmed over their summer tour on the “Rockstar Energy Mayhem Festival”. The doco was directed by Mathis Arnell /Naughty Mantis. Whitechapel have revealed plans to begin their sixth full length album as early as next week. Aborted have released a new NSFW video for the title track of their upcoming EP “Termination Redux”. “Termination Redux” is set for release on January 15 through Century Media. At The Gates have released a new animated video for their track “The Night Eternal”. Costin Chioreanu directed the clip, having also done the artwork for the band’s latest album “At War With Reality”. Lamb Of God have released a new lyric video for their track “Erase This”. The song comes from the bands most recent release “VII: Sturm Und Drang”.